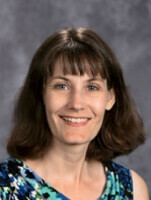 Amy has been in education since 1993 and is a graduate of Purdue University with a B.A. in Education. She completed her religious colloquy through Concordia Chicago and is pursuing a M.ED. in Administration. Her diverse teaching experiences range from years in inner-city public schools to time at a private school for gift-talented, which have helped to refine the classroom and curriculum development skills she brings to Our Shepherd. A lifelong Lutheran originally from the Fort Wayne area, she has lived in the Indianapolis area since 1997, and has been a member of Our Shepherd since 2001. Amy and her husband have four children: Shelby, Lauren, Alec, and Ian. Amy practices her photography skills during the family road trips. When at home, she likes to try new recipes on her family and spend time visiting with friends. Amy has been in Early Childhood Education since 2015, and is a graduate of Iowa State University with a Bachelor of Fine Art degree. She enjoys watching the preschoolers open up to build friendships with their classmates and learn about Jesus. She has worked as a live-in nanny, has taught in day cares, and also works in an emergency room. She is married to her husband Dave and they have one daughter, Morgan. When time allows, Amy enjoys painting in several different mediums as well as creating wall murals. Tracie Douglas has been in early childhood education since 2009, and graduated from Concordia Chicago with a degree in Early Childhood Education and a Spanish concentration. 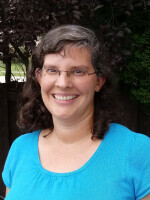 She has a Master's Degree in Curriculum and Instruction from Concordia Portland. Tracie loves teaching children - especially about Jesus! She and her husband Matt (the Assistant Pastor at Our Shepherd) have four children: Isaac, Levi, Eden, and Lydia. Tracie enjoys reading, camping, and visiting family and friends. The-Resā is a graduate of Advanced Vocational Health Institute with a degree as a certified nurse assistant (CNA) and home health care. 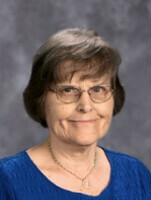 She has been a member of Our Shepherd Lutheran Church and School for 23 years, aiding in the Preschool, Pre-Kindergarten, and Kindergarten rooms for all those years. The-Resā owns her own cleaning service, too. She has one son, Larry, who graduated from Our Shepherd Lutheran as salutatorian, attended Lutheran High School for his freshman and sophomore years, and completed his junior and senior years at Ball State University for Mathematics, Science and Humanities. The-Resā loves taking care of children and senior citizens. She also enjoys sewing, singing, camping, skiing, cycling, skating, painting, crocheting, and knitting. Most of all she enjoys letting her life be an example for non-Christians who are unbelievers, that the Lord Jesus Christ can work through all. Kara has a degree in Elementary Education, and spent a couple years teaching elementary school, but found her passion in teaching Early Childhood. She began in Early Childhood Education in 2010. Her favorite thing about teaching is seeing a child complete a task on their own when he or she previously needed assistance. She and her husband live in Avon with their five year old daughter, three year old son, and dog. She enjoys camping, boating, and being outside, as well as reading, baking, crafting, and sewing. Kristine graduated from the University of Evansville with a B.S. in Biology. While working in healthcare, Kristine has often led Bible Studies for kids, taught at Vacation Bible School, and taught Sunday School. She became a member of Our Shepherd in 2010. She and her husband, Mark, have a son, David. Kristine enjoys swimming, hiking, and scrapbooking. Shirley graduated from Concordia Teachers College in Seward, Nebraska, with a B.S. degree in Elementary Education. She has a major concentration in Early Childhood Education, a minor emphasis in Speech/Drama, and is devoted to her work with young children. 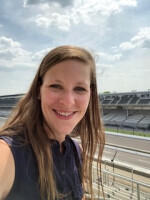 She currently holds an Indiana teaching certificate and regularly attends classes and workshops, such as the Annual Conference for Indiana Kindergarten Teachers, to stay current with educational practices that foster success in learning for her students. Her family background consists of a family of teachers, including two sisters who are kindergarten teachers and a father who retired after serving 40 years in the teaching ministry. She has been an early childhood educator since 1986, with the exception of five years when she had the privilege and joy of staying home to raise her son. 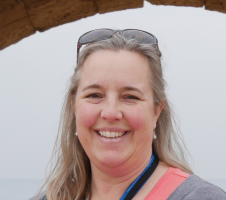 When she is not teaching, Shirley enjoys spending time with her family and doing things they love such as traveling, cooking, reading, gardening, playing games, riding bikes, and walking. Shirley resides with her husband and son in Hendricks County. Rachel and her husband Seth have called Our Shepherd "home" since 2004. A graduate of Eastern Illinois University (B.S. in Early Childhood Education), Rachel taught in a variety of different Pre-K, K, and 1st Grade classrooms. She loves her job as a part time aide in Kindergarten, and enjoys the flexibility that schedule allows so she can take care of her home and two active boys, Kyle and Ryan. Rachel enjoys Bible study, gardening, exercising, camping, and watching her boys play sports. Lisa has been in education for 11 years and is a graduate of Concordia University Chicago with degrees in Elementary Education and Early Childhood Education. She also has her Masters degree in Education from the University of Texas, enabling her to be certified in School Counseling and Guidance. 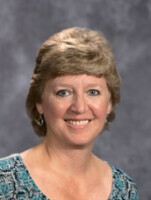 She has taught over ten years in Lutheran schools with student bodies of less than 60 as well as over 600 students. She is a busy mom to three children, Ben, Drew, and Mia. Lisa enjoys music and sings with a praise team at Our Shepherd. She and her husband, Jon, enjoy hiking and camping with their family. Julia spent most of her childhood in different countries. Her parents served the LCMS synod as missionaries in Guatemala, Costa Rica, Venezuela and Mexico. 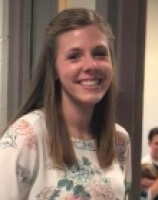 She has been in education for 7 years and graduated from Concordia University Wisconsin with a degree in Elementary Education and then married her husband Brock. She enjoys teaching 2nd grade at Our Shepherd. During her free time, Julia enjoys quilting, drawing and reading. She is also an active member of LWML. Wendi graduated in 2003 from Grand Valley State University with a degree in Elementary Education. Wendi also earned her Colloquy degree in July of 2013. She has taught in Lutheran schools for six years and most recently taught for two years in the 3rd grade for Speedway Public Schools. While originally from Michigan, Wendi and her family have lived in Indiana for 13 years. Wendi enjoys spending time with her four children: Isaac, Meghan, Carina, and Markus, and her husband Dan who is the Senior Pastor here at Our Shepherd. She enjoys cooking, traveling, hiking, biking, and many other outdoor activities with her family. Aaron is the fourth grade teacher at Our Shepherd Lutheran School. He graduated from Colorado Mesa University with a Bachelor’s of Science in Physics and a minor in Mathematics. In 2008, he went back to college and completed the requirements to become a K-6 licensed teacher with added endorsements to teach grades 7-12. 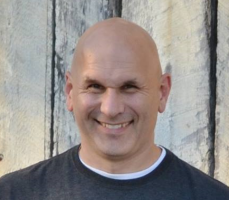 He has experience teaching elementary and middle school Math and Science. He and his wife, Kim, moved to Indiana from Colorado in 2016. He is the proud father of two children who both attend Our Shepherd Lutheran School. In his down time, you can probably find him with his family at a park, the Indianapolis Zoo, on a racquetball court, or at the movies. 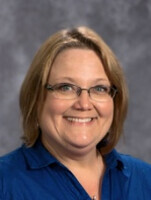 Kim has been in education 17 years and graduated from Concordia University, Chicago. She has a Bachelors degree in Elementary Education with concentrations in Language Arts and Art. She taught third grade for four years in Dundee, IL, and then married and moved to Minnesota. After having three children, she stayed home to be with her family. 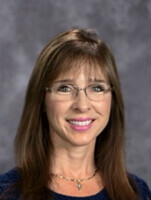 Kim taught middle school Social Studies for eight years before taking over her current position as fifth grade homeroom teacher and middle school Social Studies teacher. She has been in this position for the last 6 years. Kim’s hobbies include hiking, walking, cycling, cooking, baking, and various crafts. 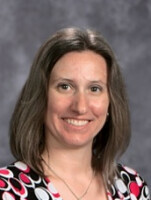 Rachel has been in education 11 years and graduated from Concordia University, River Forest IL. 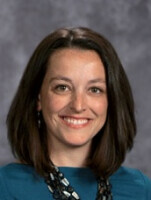 She has a Masters degree in Curriculum and Instruction from the University of Indianapolis. Nikki has been in education for 11 years in both Lutheran and public schools. 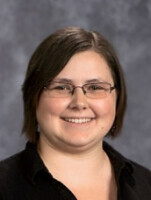 She graduated from Beloit College, Beloit, Wisconsin, with a Bachelors of Science, and completed her secondary science teaching certificate from Indiana Wesleyan. She has been teaching and coaching volleyball at OSLS for the past 6 years. Currently, she serves as the 7th grade homeroom teacher, middle school science teacher, varsity volleyball, cheer, and track coach. Besides teaching, Nikki loves to spend time with her three children, Hannah Eden, Bethany Ruth, and Ezra Caspian. What she enjoys most about Our Shepherd is the many opportunities to express and share in the faith we have been given through our Risen Lord. Graduating from Concordia Nebraska in 2018, Carlie started in education with her first call here to Our Shepherd. 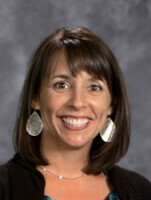 She teaches middle school Language Arts, 1-8th grade music, and began a band program at OSLS. Her favorite part of being a music teacher is being able to see the students grow from 1st grade until they graduate their 8th grade year. She and her husband Dan both enjoy being outdoors, especially biking together. Carlie also enjoys reading, playing music, and running. 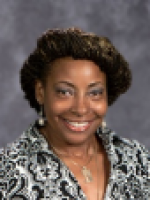 Rosemary Thomas is a graduate of Butler University with a Masters Degree in Elementary Education. After retiring from teaching, she began assisting at our school, most recently in the kindergarten and first grade classrooms. She has two grown children with families of their own. Her husband, Irvin, is now retired as well. She enjoys her mission here at our school. Gardening and bowling are her favorite activities.